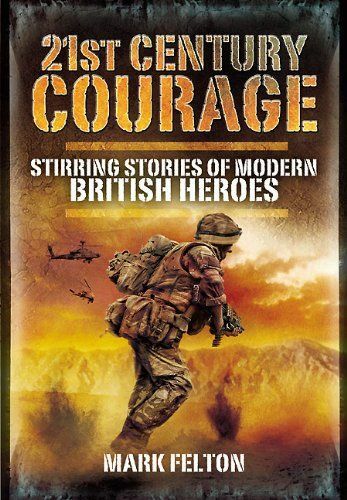 The book examines examples of outstanding courage exhibited by people living in modern Britain. These include British servicemen and servicewomen serving in Iraq and Afghanistan, police officers, and ordinary civilians in Britain and around the world. All of the cases cited have been awarded gallantry medals by the British government since 2000. The purpose of the book is to inspire modern British people. In the past, the heroes of Empire were well-known and respected, but since the Second World War people have tended to associate heroism with celebrity instead. We hear footballers and actors described as heroes , and this demeans the word, and the real heroes of modern British society. The generations that fought the First and Second World Wars have often been held up as the greatest generations of British people. This book shows Britons that the kind of grit, determination, courage and willingness to have a go exhibited by previous generations are as alive now as they ever were.